I could literally spend hours in Sephora. As a beauty product junkie (hey, there are much worse things to be addicted to), I love playing with products, swatching, spritzing and perusing the goodies. 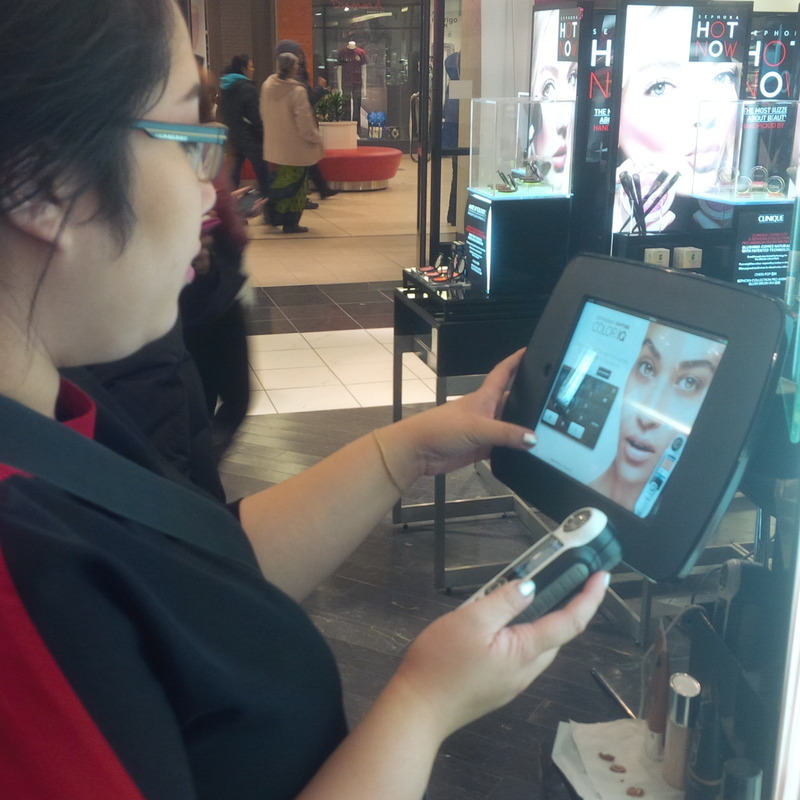 Sephora staff are always very informative and helpful, so it is always nice to chat with them about new products and old favourites. Given the amount of visits I make to Sephora, I was surprised I hadn’t realized that they have teamed up with Pantone to provided complimentary foundation colour matching consultation with their very cool new Colour IQ technology. I have mentioned in some of my past posts such as Ash’s top 3 foundations, that finding products to match my skin tone can be a bit of a challenge. Foundations are often too red, not yellow enough, too pink, and too grey …for my liking. Oh, and ladies, haven’t we all thought we found the perfect foundation just to step outside and realize we look full on Oompa Loompa? Yeah. Not fun. In case you are unfamiliar with Pantone, they are pretty much the authority on all things colour. They are the world renowned authority on color and provider of color systems and leading technology for the selection and accurate communication of color across a variety of industries. The Pantone name is known worldwide as the standard language for colour communication. Sephora and Pantone have joined forces in the past to present Sephora + Pantone Universe products, usually featuring the Pantone colour of the year. Now, they have collaborated again with the Colour IQ system. Colour IQ is the first and only beauty service to scan the surface of your skin, assign it a colour IQ number, and then find your scientifically precise foundation match from over 1500 options. This is a fantastic service that is available free of charge at all Sephora stores. The process is quick and fun. 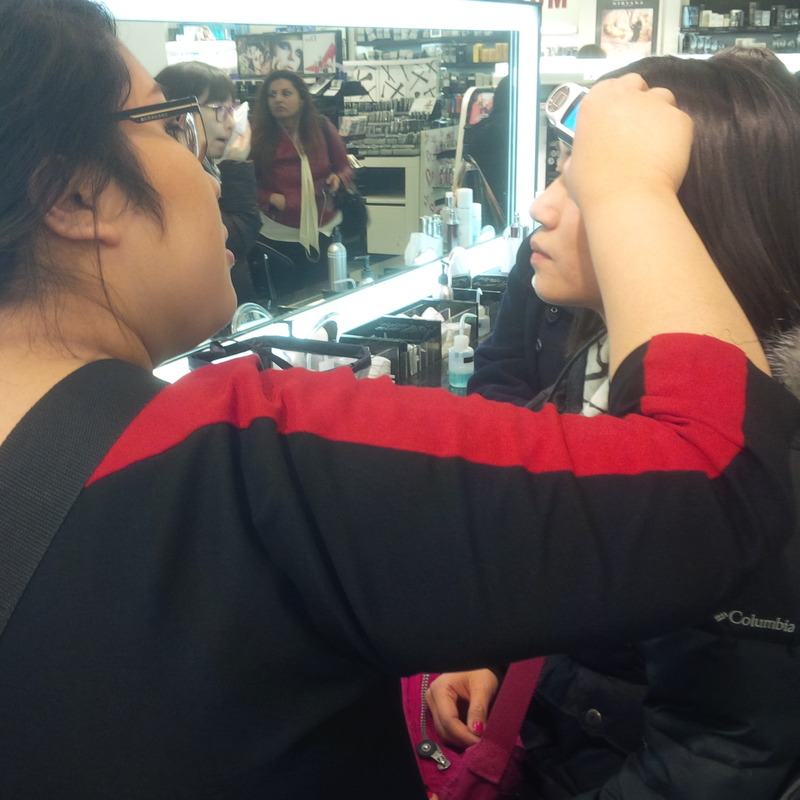 A Sephora staff member will begin by removing any makeup that you have on, in order to make sure the pictures that they take are an accurate representation of your skin tone. They then use the Pantone handheld colour IQ device to take three pictures of your skin. Traditional cameras take pictures using ambient lighting, but the colour IQ device captures an image in complete darkness which allows the tool to focus on the skin’s physiology and eliminate several variables that often distort shade selection. 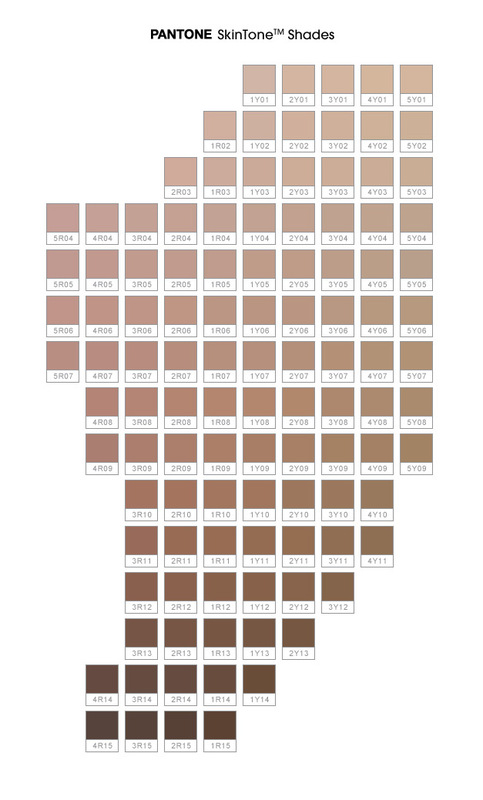 The Pantone Colour Institute researched and then mapped out 110 skin tones to build the colour IQ library. Created exclusively for Sephora, this chart categorizes skin’s surface tone and undertones to help determine foundation matches. Once your pictures are taken, your Colour IQ number is generated. 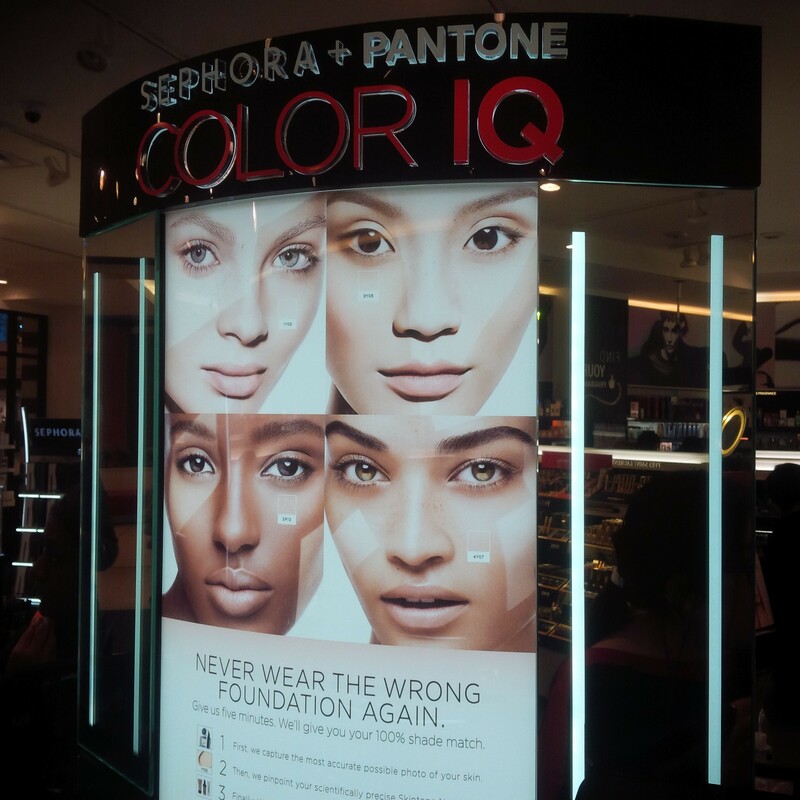 Once you are given a Colour IQ number, the Sephora staff is able to enter it into their database to provide you with all of your potential foundation matches. I really love that it provides you with all of your matches across every brand that Sephora caries. So you are then able to narrow your search down based on personal preferences like powder liquid or cream and coverage. You can request that your foundation picks be emailed to you. If you like, the Sephora staff is happy to let you try any of your matches in store; they will even give you some samples to try at home. I really appreciate that there is never any pressure to purchase, as Sephora staff do not work on commission. Pantone Colour IQ is an amazing service , offered free of charge at Sephora. If you haven’t already, I suggest you take advantage of it ASAP. Sponsor TNL at Canadian Women’s Foundation 2014 Move for Hope! I am someone who never shops in Sephora and doesn’t wear foundation but I was so happy to be talked in to trying this amazing service. Not only did the fantastic staff member find my perfect match–in terms of colour, texture, and ease of use, I also had fun with the process! I will have to go try this out for sure! I really love Sephora because I think they realize their products are on the pricey side so they give you the opportunity to try them out before buying a $30 jar of something that doesn’t end up working. I’ve heard you can return makeup to Sephora even if you’ve used it but I’d rather make sure that what I’m buying will actually work! I know my skin tone is hard to match because I’m not too light but I’m not too dark so when I buy makeup I have to make sure that it’s something that can be blended really well or that can mix with my foundation too. This Pantone service sounds like exactly what I need so I hope to check it out soon!! This is amazing! I love that they give you so many product options once your matches are determined, AND will give you samples to try out. It’s a wonder I don’t visit Sephora more often, since I love makeup so much. This is awesome, will definitely check this out at my next visit to Sephora. 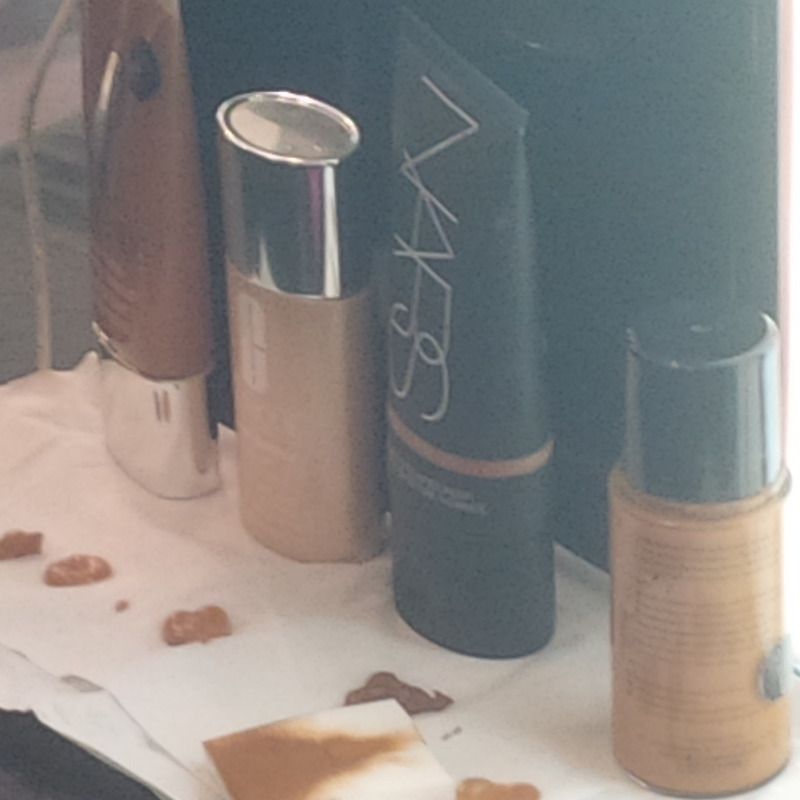 Have your top foundations changed since this? Hi Amelia! These are still my favourites, however I have also incorporated bb creams for light makeup days. I think my skin has improved a bit to allow me to get away with this more sheer coverage…so hooray for that! Just had this done yesterday, and my results are a lot darker and more yellow-based than I had been wearing (I was matched at 3Y06 and normally wear Makeup Forever in 30, for reference). I will try it again – wearing no makeup – and see what my results are. Hi Wendy , I think its a great idea to try a couple of times in order to make sure that you get the most accurate results. I am a big fan of Sephora, and thought I had the process down pat regarding foundation choices, until I was color matched! I was surprised, I am a 2Y07, and was amazed when she put on my new color! Flawless and smooth! Now I know exactly what to get for foundation as well as powder, am very happy with my purchases! Hi Kay, I too thought I could pick out my colour myself no problem. But the Colour IQ picked some shades that looked way off on my hand/in the bottle , but were spot on when I put them on my face!